LHN Home of a Needleworker was the main "small", see previous posts and my Finishes blog for pictures. and the other is for someone whose Birthday is today, I wonder if she got it on time? It's stitched on 28 count over 1 using the black Sullivans thread I got free with JCS. Has anyone else used Sullivans? Their big claim is that their "reversed rolled" thread doesn't knot. Well I'm sorry to report it does knot and much worse than DMC! My DMC knots are those little loop things where you just pull the threads and they come undone. This stuff knots and has to be cut out. The end also unravels as you stitch so you have to cut it short by about an inch for every length you use. This won't be a problem when I stitch using 2 threads and the secured needle method but I imagine it would be annoying if you use the loop start or two loose threads methods. I also felt the thread was "harder" than DMC while in the skein and much more difficult to remove a length. With 99% of DMC skeins there is a clearly visible "end" which you pull to remove the thread. With the Sullivan I had to rummage to find an end, then when I pulled it I realised I'd found the "beginning" of the skein so it was coming out tangled. The real "end" was found between the two paper loops in the middle of the skein. Not a good beginning! I don't think Sullivans are readily available here but I won't be searching them out! I also think it's a bit cheeky copying DMC's colours so blatently with the lables using the DMC references! I do like the DMC counter-adverts in the magazine though, especially the copycat one with the kittens. So thank you to JCS for giving me a chance to try this thread for myself and saving me the disappointment of spending money on it. LOL. The coverage is okay though so at least I don't have to frog it. One thing which was worth every penny and more was the chart pack I got from the Italian Needlework show at Formigine. 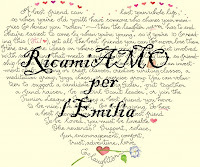 No, I didn't go to Italy myself, worse luck, but the lovely Giovanna did and bought a copy of my behalf, bless her. Here's the post where I first read about the fundraiser Niky's Creations. When Gio mailed the envelope to me she did warn me that it wasn't an actual bound booklet, just some loose charts so I wasn't expecting too much but it was nice to help a worthy cause and I was sure the charts would be good ones. What I wasn't expecting was 37 new and unique charts by well-known designers clearly printed on high quality paper! I "drooled" quite happily for some time rearranging them into alphabetical order as per the contents sheet! My favourites are by Alessandra Adelaide and Renato Parolin but there are many others I want to stitch too. "Wow, the holidays are only a couple months away! 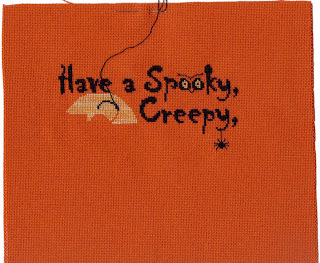 Avoid that last-minute crunch and work on some gifts now"
So, there'll be another Birthday card to stitch for an October lady. I also need a November Birthday as there isn't one in the Needlecraft Haven exchange. Anyone got a November Birthday or just fancy a nice floral card from me? 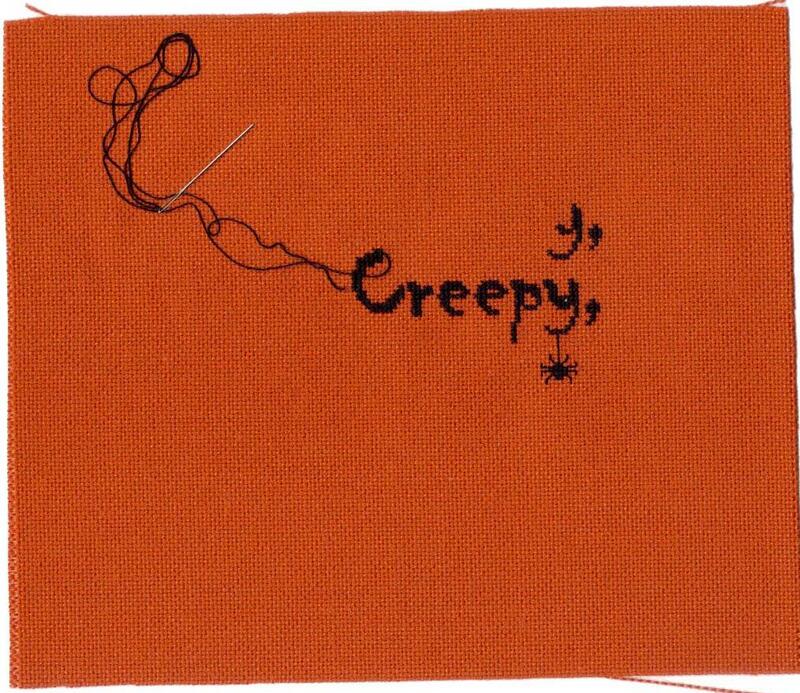 Mainly I'm planning to stitch Hallowe'en themes and my two RRs, so they're obligation pieces. It'd be nice to catch up with Papillon ATW80 so that's an obligation to myself! Finally, I've helping Blu out with the SAL Directory blog I mentioned a while back. I've added a couple of new SALs but would love more (and some more followers too!). So if you hear of any freebie part work SALs going on, let me know. 11. Papillon Around the World in 80 Stitches - Parts 1 to 4 completed. Part 5 outlined, Part 6 not started. Don't forget if you'd like to stitch this yourself then pop over to the previous post and answer my question. Even if you don't need the chart pop over, read the fantastic answers and leave one of your own just for fun. This is my best competition ever! Not so good, in fact nothing again! Would anyone notice if I just quietly dropped Part 2? LOL. Update coming tomorrow on Official Theme-a-licious Update Day. Finally, I got my edition of the Just Cross Stitch Christmas Ornie Special through the post. I'm really impressed by it. Top of the list is the Blue Ribbon Designs Reindeer then Dragon Dreams Year of the Dragon but every section has 2, 3 or even 4 I want to stitch. Except the first section, Snowmen. Apparently I don't like stitching snowmen! That's the question I'd like you to answer to win my copy of the LHN chart of the same name. Spot the tiny change? Not 100% sure of them but the Large Boy recognised them for what they are so that's good enough for me. I was going to use the cute charm Sarah-Beth sent me but it was too big. The other change was to use the rose pink for some of the letters as I liked the colour. With hindsight I think I should have used it for my initials letters as it does stand out amongst the muted shades. Oh yes, and I satin stitched the triangle border, not cross stitched because it was sooooooo much quicker! And added little red stitches to the wreath instead of the pale green charted which wouldn't have shown up over 1. But's that's it really! The design is stitched over 1 thread on the 28count flax linen Kaye sent me with the JBW Noah's Ark chart, that will also be framed in the same brown wood frame (£3.80 from Wilkinsons for my UK followers, available in a variety of sizes!). 3. 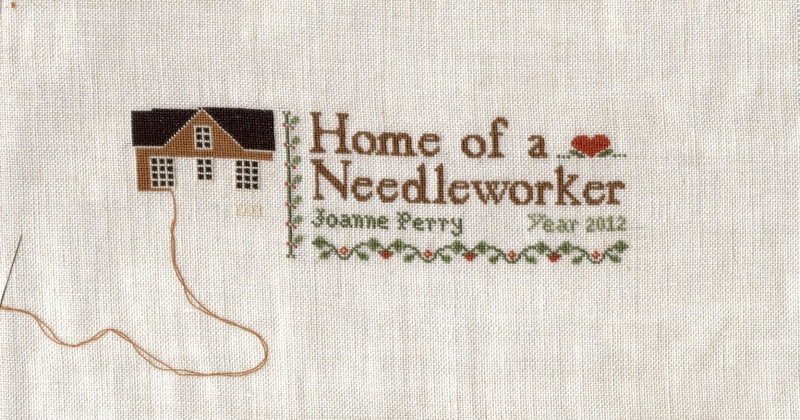 Telling me HOW I would know I was in the "Home of a Needleworker" if I came to your house/flat/castle. What is the first thing I would see when I walk up your path/through your door/across your drawbridge? You have until Wednesday 3rd October to answer. Make sure that if you are a "no-replier" you include some way for me to contact you. Even if you've got the chart already please feel free to answer the question just for fun. You never know, I might have something else you'd like! 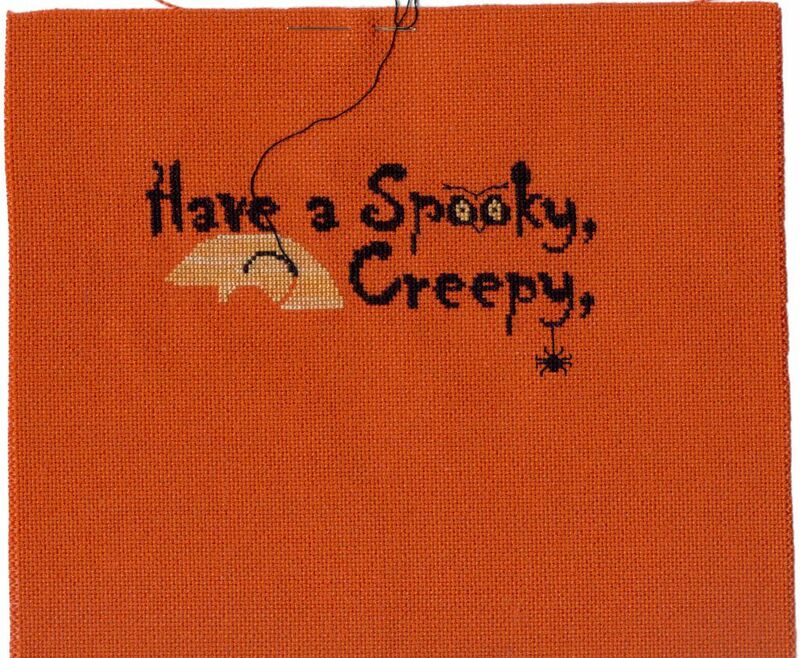 Here's my new start, the first of my Hallowe'en stitching (yes, I put an apostrophe in the word because it used to be there when I was young). This is a freebie from Puntini Puntini but I don't think it's available anymore. There are some nice freebies still on the blog anyway and some adorable buttons! When I get to the bottom you'll see the reason I fell in love with this chart! I'm stitching on 28 count evenweave over 1 using the free Sullivans thread which came with JCS this month. This is one day's stitching done while the Small Boy was at preschool. I have to sit at the back of the hall so I might as well do something productive. I did join in at singing time though because the playleader was struggling to explain The Farmer's in his Den to 2 year olds! Finally, my blog has just hit the 50,000 views mark! How incredible is that? OK, so the title gives it away so I won't ask you to guess what I picked up from the framers this weekend! Yes, it's Dark Alphabet. I was a little limited in my choice of frames as I wanted a carved dark wood which aren't "in fashion" round here right now. The nicest one in the catalogue was no longer available. Alot of the plain dark woods have a gold band round the inside which I didn't want either so the framer lady found this one. There is gold/bronze in it but not a bright gold and it goes really well with the brown in the border. For new followers and those with bad memories here's a link to The Danse Macabre post where I celebrated finishing this piece. And here's a link to Julie and Becky's Note of Friendship blog where you can find the charts for free. And lots of other lovely free things too. And some lovely things you can buy. 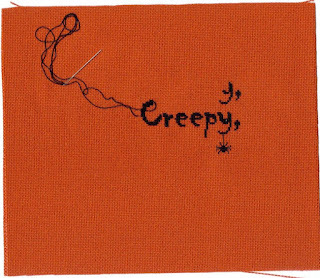 I also stitched a little card for Kell of Kincavel Krosses as part of the Needlecraft Haven Birthday Exchange. Most of the ladies are getting the WOCS Flower of the Month cards but I stitched September for Linda so wanted something different for Kell. Of course I could have stitched one of her own designs but that would be strange! I saw this saying on a greetings card and it made me smile. I knew I had a 70's Disco font in an old Cross Stitcher so I was sorted. The lettering is all backstitched then coloured in with my felt tip pens (again!) as is the card. Kell has opened it already and really likes it. This was completed some years ago but only framed this week! It replaces the Summer Sampler on my wall. And also on my FB profile! Finally, how are you all getting on with the new Dashboard? I tried it once before, hated it and changed back but they must have made some changes after getting feedback because it's alot better now. Not as good as the old one but better than the first new version! The word verifier glitch is fixed too and I can comment on those blogs again. Hurrah! Here's my TUSAL for September along with my "page-every-other-day" calendar and the latest progress on LHN Home of a Needleworker. I finally finished the house! It took ages but does look nice now it's done. I love the little wreath on the door, there will be little red berries on it but I'm waiting until I use red again so I don't have to keep swapping the colours. Finally, I was going to post some pics of my latest RR finish but there's a pigeon sitting on the telegraph wires so the internet connection keeps dropping out half way through loading the photo. We do have a dongle but that is even slower than the half a meg we get from the landline connection! So it's a short post today. Postcard Blog Hop, that is. The weather still seems to think it is Summer apart from the Autumnal nip in the air in the mornings. The final postcard came to me from Mouse. She sent me a choice of pictures, one of which went into the main Blog Hop and the other I kept for Lucky Last. Can you guess why I kept this picture for me? The links all go to the actual postcard post but while you're there take the time to look round the rest of the blog if it's new to you, they are all great blogs and well worth the browsing time. In fact you're pretty much looking at a Top Ten of My Favourite Blogs! (Top Nine really because Mouse is there twice, once for stitching, once for the cuppa and cakes she provides). And now the Scrapbooking part of the post. I started stitching alot of smalls last year and rather than have loads of frames all over the place I decided to scrapbook them. The scrapbook is a proper crafty one with clear slip-in pockets for the pages you can buy. Most people make photo montages using embellishments but I just stick my stitching on the pages instead. The range of pages is incredible, some perfect for stitching backdrops and all costing pence rather than pounds! The paper came with the little flowers cut out already. 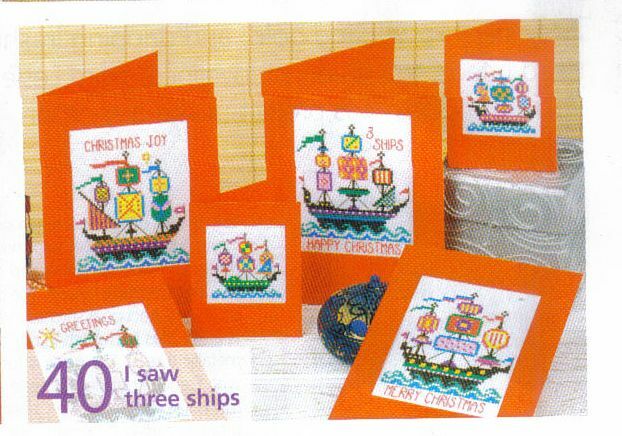 I backed it with four different coloured pieces of card to match the fabric which was coloured before stitching using fabric pens. I then stuck some floral embellishments in the centres of the larger flowers. Eventually I'll have all twelve cakes completed. I do love a series of designs! Finally, here's a blog that deserves a wider circulation - SAL Directory. We all love a good Part-Work SAL don't we? And we all kick ourselves when we miss a sign-up date or have to play catch-up because we're five parts behind everyone else. Well here's a solution. Blu has started this blog to list all the Part Work SALs out there on t'internet. If you know of one starting soon then drop her an email and she'll add it to the blog. So what have I been stitching this week? Karen's Sweetheart Tree Round Robin and LHN's Home of a Needleworker. There was some confusion over the mailing dates for the RR and luckily for me Karen gave us all another week if we needed it. I could have barged on and mailed on the date but I decided to take my time and do it nicely. And stitch both floral rows that I liked rather than choose just one! The prize I awarded to Anne my 2000th commenter arrived in Canada this week! Yay! The design was chosen by Christine as the August Challenge piece on the Needlecraft Haven and I thought it would be perfect for Anne. I stitched it on 18count rose evenweave over 1 using a Stef Francis mercerised cotton in variegated purple. Lovely isn't it? I finished it into a pillow using some of the fabric samples as backing. Anne asked if I'd stitched all the french knots on it myself - is she craaaazzzzzzyyyyyy! No, at £75 a metre I expect someone else to programme a machine to do them LOL. No, I didn't pay £75 a metre either, I was given a bunch of old sample books last year. Each piece is 12 x 12 and makes great ornie backing. 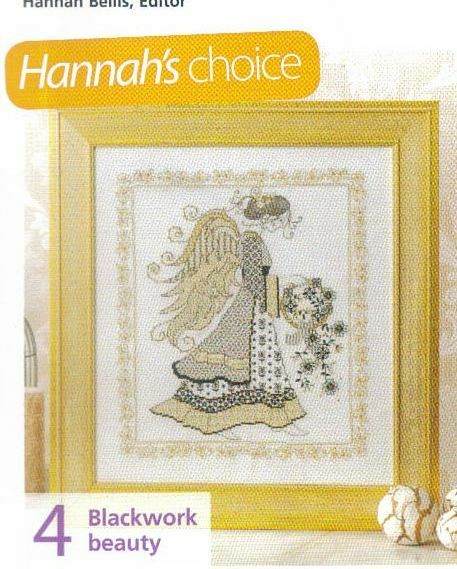 The design came from the Samplers and Santas blog, I just removed the crown and fitted Anne's name in the space. Good thing she's not called Anastasia or I'd have had troubles! The link includes nice instructions on how to make a needle keep if you'd like one. Has anyone else used Stef Francis' threads? I think I bought them from my old LNS or maybe the Olympia craft show. They come in a variety of weights, this one is NE 20/3 (I have no idea what that means!!) and some gorgeous colours. The website is well worth looking at as they do a wide range of items for embroidery as well as cross stitch and other crafts. I have been treating myself a little bit just lately (it is my Birthday month!) and today I bought two magazines. 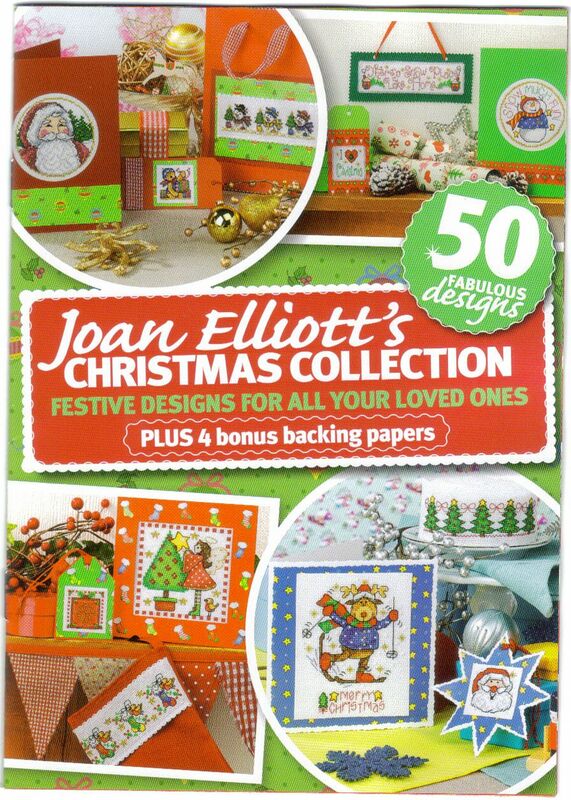 The first was Cross Stitch Crazy for the Joan Elliott Christmas booklet. 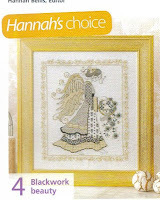 The second was Cross Stitch Gold for the lovely Blackwork Angel by Lesley Teare and the I Saw Three Ships designs. As usual I have added the contents pages of these magazines to the special page on my blog. You'll find it at the top of the blog under one of the tabs labelled "Magazine Contents Page". The idea is that I post a picture of the contents of any UK magazines I buy. This will enable you to decide if you want to try find the magazine in your own country. It's very hard if the mags are sold sealed up to decide if you want to spend the money. Hopefully this will help you. Please note the Big Red Disclaimer at the top of the page - I will not scan and email charts. Finally, I'm trying to comment as much as possible on your blogs but Blogger still won't accept what I type into the word verifier no matter how many attempts I make. If you have a word verifier because you're afraid of getting Spam then try removing it and the option to post "Anonymous" or have an email address available so I can comment that way. At the very least warn me there's a word verifier before I type out a long comment and then it pops up after I hit "publish"!